FORT WORTH, Texas — Kevin Harvick went around the outside of Martin Truex for the lead on the 324th of 334 laps, then stayed in front the rest of the way to win the AAA Texas 500 at Texas on Sunday and earn his championship shot in NASCAR’s season’s finale. Truex had led 107 laps and was still up front until his bobble on the backstretch allowed Harvick to take the lead. Despite not getting the checkered flag, Truex, who has won three of the eight playoff races, locked into one of the four championship-contending spots at Homestead in two weeks. 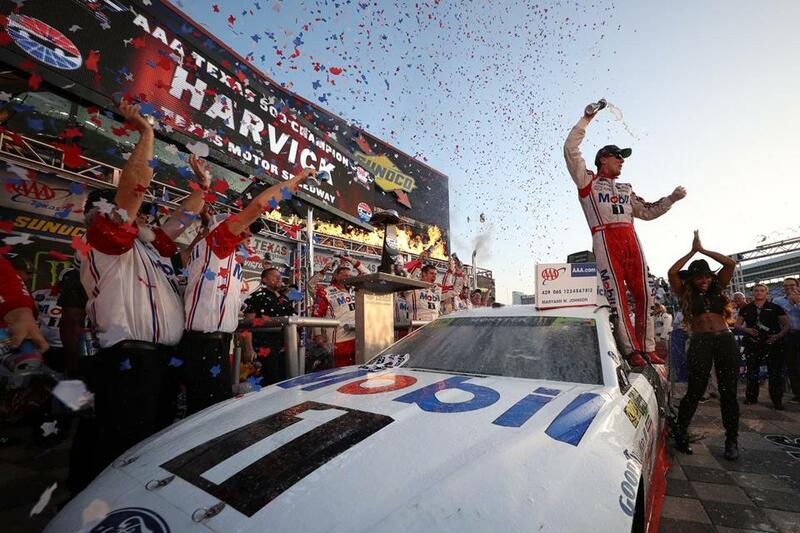 Harvick got his first Cup win at the 1½-mile high-banked Texas Motor Speedway, where he had won five Xfinity Series races and once in a NASCAR Truck race. Texas Motor Speedway officials bypassed the use of the pistols after a man opened fire inside a church in a small community about 300 miles south of the track near San Antonio earlier Sunday. Authorities in South Texas said the shooter killed more than 20 people and wounded at least 10 others before being killed or killing himself. Keselowski dropped from third to fourth in points, 57 behind Truex. Hamlin is fifth in the standings, followed by Ryan Blaney, Elliott, and seven-time Cup champion Johnson. Harvick felt that he had a good car all day but he couldn’t get around Truex until he changed strategy.